When writing, p.s. is a fun way to say a little something more at the end. A way to add something extra, or special, or a parting thought. What we do is to help you say more to the people you want to reach, whether they are customers, fans, or anyone you want to share your thoughts and ideas with. 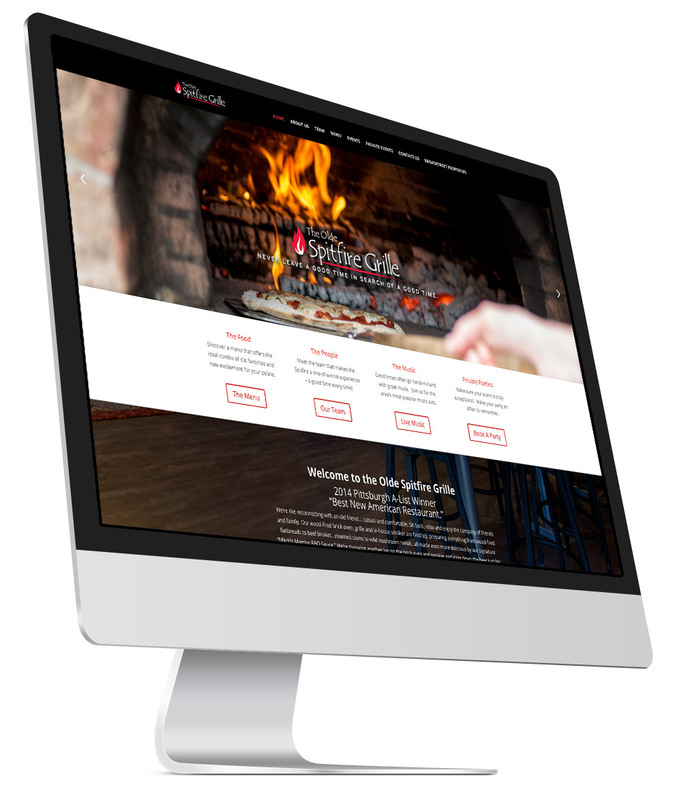 We don’t just hand you a spiffy new website and wave goodbye. We’re here to be a partner in achieving your goals. You don’t need just a website. What you really want are results. That’s why when we plan a website project with you we listen to the story of who you are, why you do what you do, and the dreams and goals you hope to accomplish. Our informed design then tells your visitors that story and leads them to action. 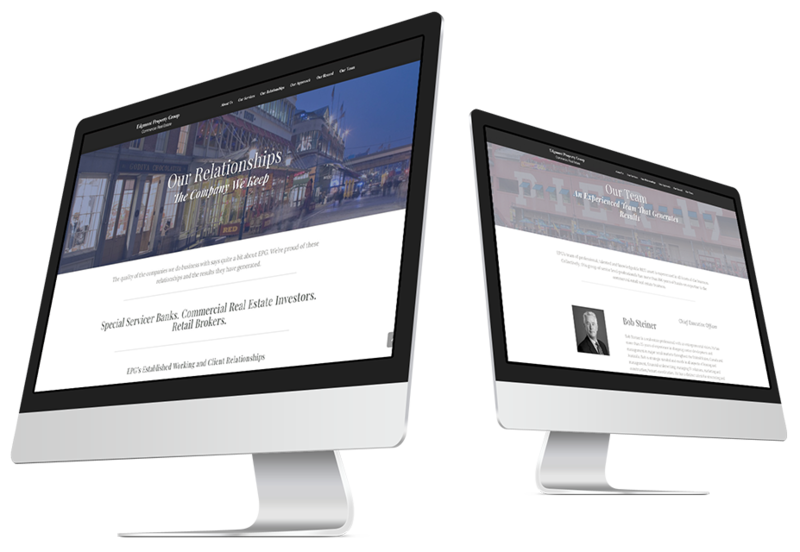 Your website is often the first impression you can make on a customer and establishes credibility with them. We help you be seen and say more by building attractive, responsive, custom sites, and maintaining that presence for you moving forward. “We” is mostly… me. But I think of my clients as partners in the work we do. Add the occasional colleague that I pull in for specialized skills and voila! We are all in it together. When I started my own professional photography business I taught myself to build my own websites and design all of my own marketing materials. It wasn’t long before other people began asking for my services to help them with their businesses and brands too. Now, with over 15 years in web development experience I get to use my creative skills and visual instincts to help other people create a strong presence online. In 2014 I was blessed to add “Dad” to my resume! 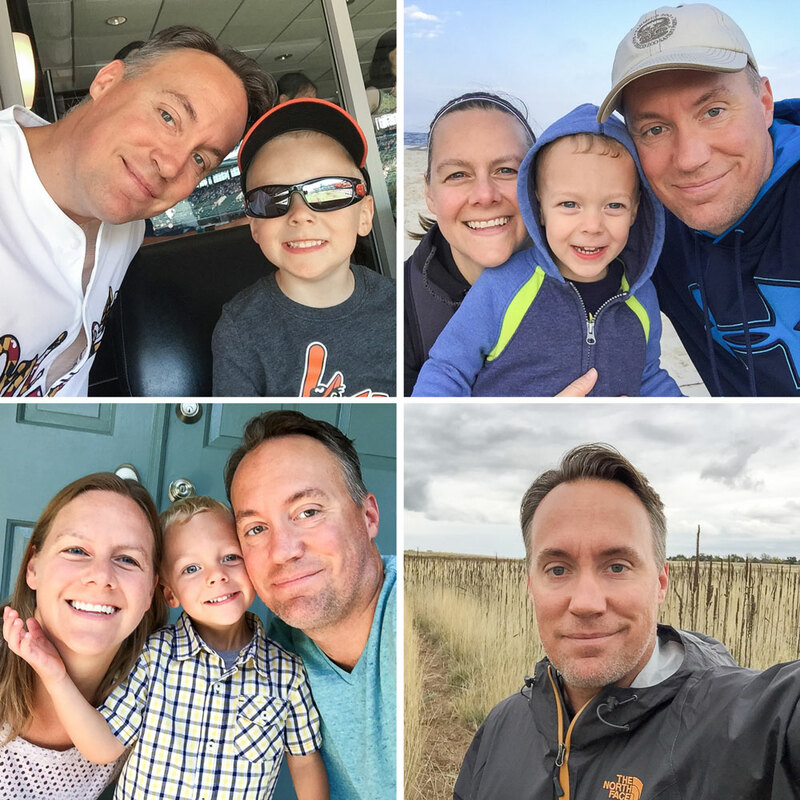 So now I am officially a WFHD (work from home dad) who is lucky enough to spend lot’s of time with my son Benjamin when I’m not out doing photography or developing websites. All the fun stuff that makes the website look great, load fast, and function well. 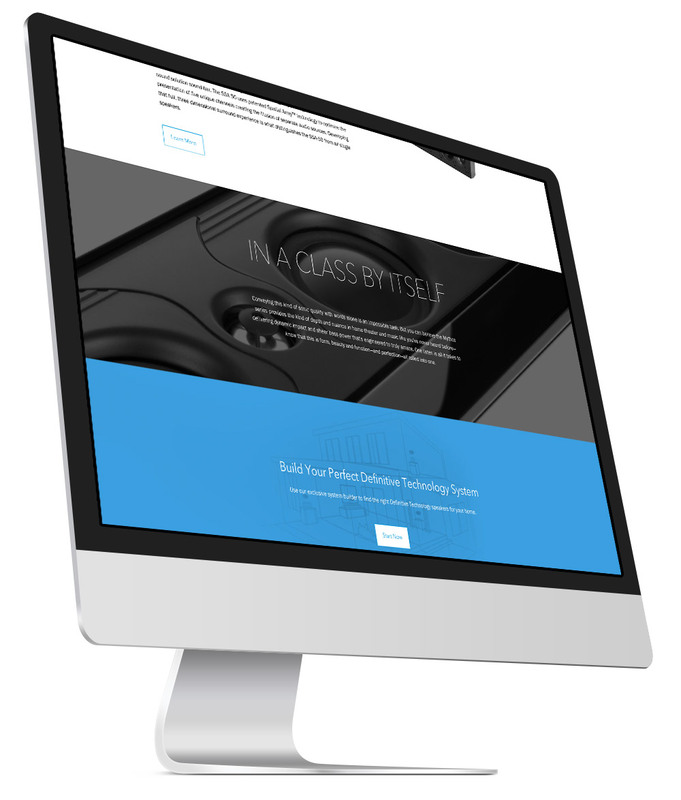 Fully responsive design that automatically resizes and repositions on any device. Plans to help protect and update your website and content every month. Our Google friendly websites are built with SEO fundamentals to help you get found online more easily. Helping you manage your site accounts, from domains, to hosting, email, and more including Google G Suite. We create, find, and use the right visuals to reflect your brand, from fonts and colors, to logos, custom art and more. We are fortunate to work with some amazing clients! Here are some of the things we have done together. Mardi is an acupuncturist by trade and is one of the sweetest people you will ever meet in your life. 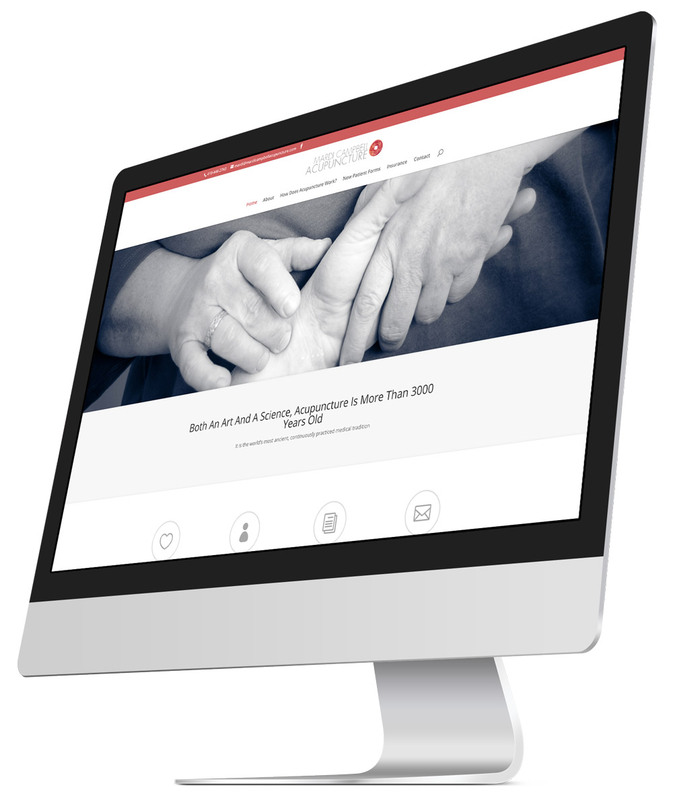 She needed a brand new website to showcase her acupuncture practice and to let potential clients get to know her better. 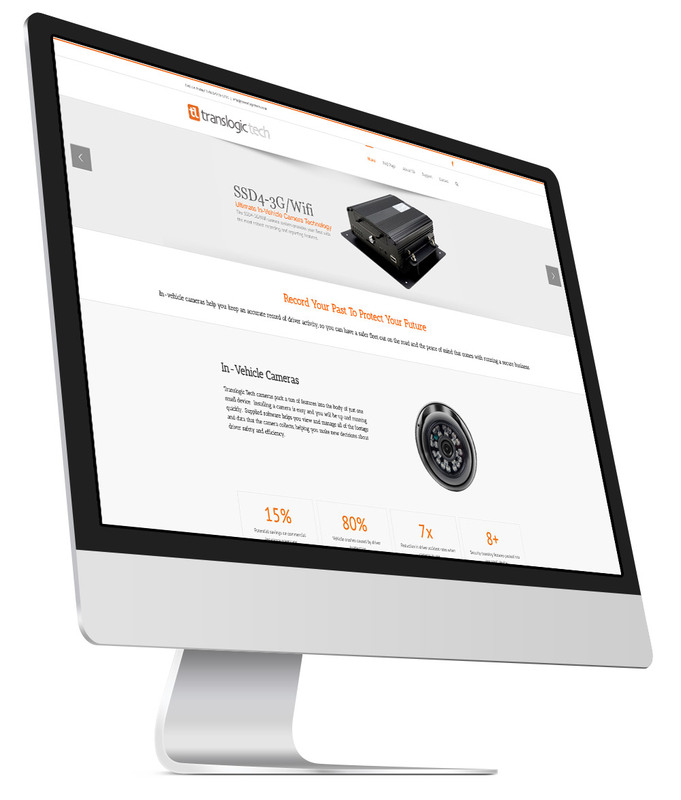 Translogic Tech provides in-vehicle camera solutions to the transportation industry. 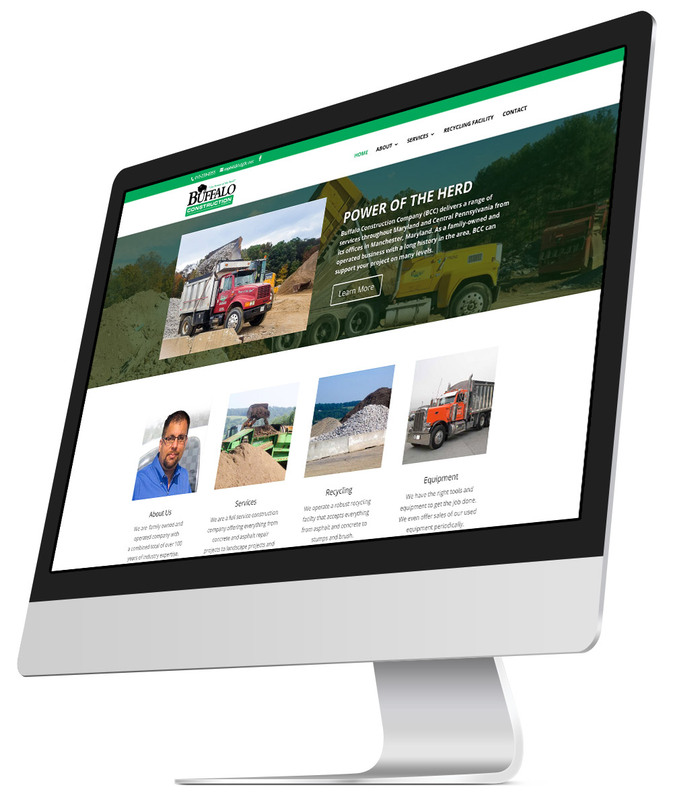 They chose us to build them a brand new website when their company launched. Since then, they depend on us for all of their physical marketing materials as well as updating their online presence. The Edgmont Property Group is a group of real estate professionals that specialize in commercial properties and increasing property value to investors. 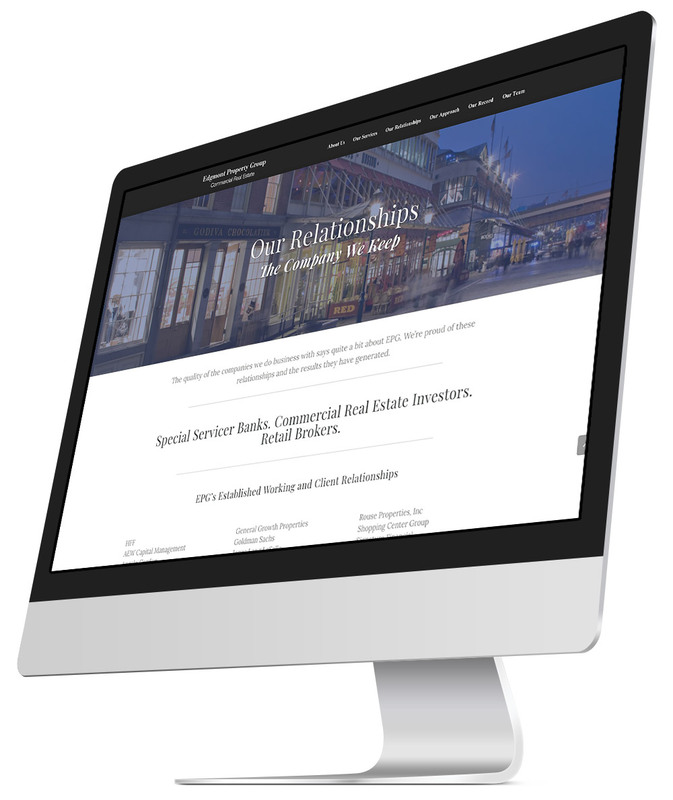 They needed a new site that showcased their experienced team as well as the services they provide and their cumulative history of success in the commercial real estate industry. Greenspring Montessori is an accredited Montessori school and their mission is “Igniting purpose and voice in a fully engaged learning community”. 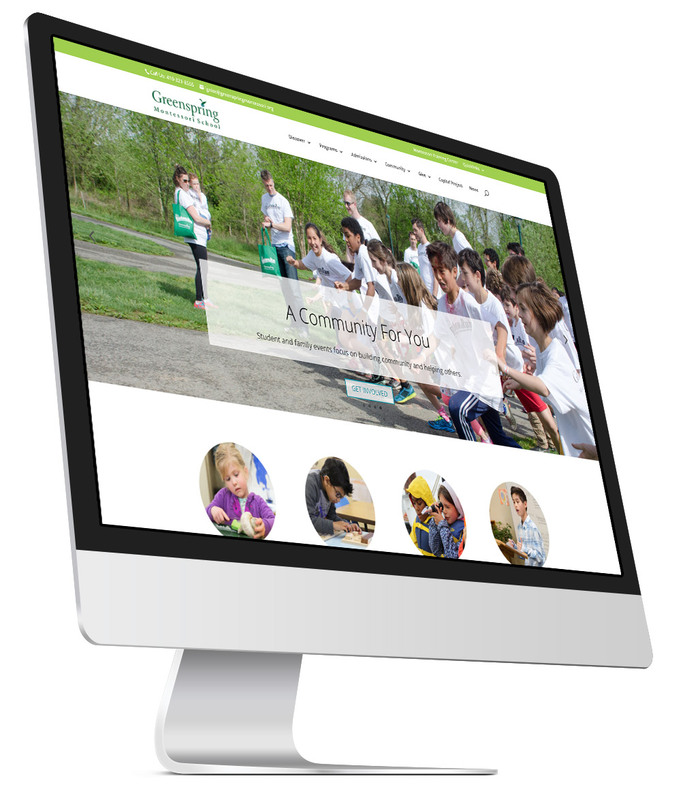 We helped take an existing website for Greenspring Montessori and give it an overhaul. The prior website was glitchy, slow, and bloated with plugins. We took their site’s design and rebuilt it in a fresh WordPress installation and we assist them with ongoing protection, maintenance, and support every month. Friends of Rawlings Conservatory is a non-profit organization that raises funds and creates programs to help the Rawlings Conservatory in Baltimore, Maryland. Formerly known as the Baltimore Conservancy Association, they rebranded as the “Friends” and needed a new website to showcase their history and to advertise and conduct their fundraising efforts. The Olde Spitfire Grille is an award winning restaurant and their slogan is to “Never leave a good time in search of a good time”. They live up to that with a tasty menu full of wood-fired and grilled options, and live entertainment. The owners came to us with a website in trouble. It was hacked, broken, and was appearing with browser warnings and on search engine blacklists. We took their site’s design and rebuilt it in a fresh WordPress installation and we assist them with ongoing protection, maintenance, and support every month. The Buffalo Construction Company is a family owned construction services business . They provide a diverse range of support services and expertise to their customers. The owners came to us with a broken website. Their old site had a barely functioning home page with outdated information and no working navigation or text links. We rebuilt their website in a completely new WordPress installation with fresh design, and maintain their site with security and updates every month. Definitive Technology is an award winning leader in high performance audio speakers. They combine sharp, modern design with cutting edge audio technology that satisfies even the most discerning audiophile. I worked with the marketing directors to update product photos within their existing catalog, and to create product photos, videos, and beauty shots for new products. Click here to see these projects and more in greater detail. Websites are under threat of attack at all times. Secure your reputation by ensuring your website stays protected 24/7 from online threats. An offsite backup of your site is taken every day and can be reinstalled to recover a potentially broken site or to roll back your site to a previous version. WordPress Core files, Plugins, and Themes receive regular updating to ensure the latest security updates and functionality for your site. Websites hosted with us receive a premium hosting package with lightning fast servers, server side caching, and no traffic limits. All websites should have an SSL Certificate to protect your visitor’s data while they are on your site. We provide one for free with our Premium Hosting. Each website care plan we offer comes with monthly development time that you can use to have content on your site updated or for other services. He was so easy to work with and could explain things so that even I could understand!! The website that he created for me is elegant, simple and very functional and easy to use. His talent as a photographer and his artistic sensibilities are so evident and enhanced my website more than I could have hoped. I wanted a website that was warm and inviting and could project a bit of my personality and Aaron was able to capture that and embody it beautifully!! I cannot recommend him enough!!! Let's say a little more together! I'd love to hear from you and start the process of learning more about your business or organization! Please feel free to get in touch by the best method for you. You can either fill out the quick form here, or call/email me with the information shown in the footer. Thanks!